The National Benefit Authority: Trusted Guidance for Canadians with Disabilities. The National Benefit Authority was founded with a simple goal in mind – help Canadians with disabilities receive the Disability Tax Credit from the Canadian Government. Over 500,000 Canadians leave their Disability Tax Credits unclaimed due to the complexity and time it takes to complete the application process, as well as a lack of awareness as to who qualifies for the Canadian Disability Tax Credit. The National Benefit Authority was founded to fill this need for Canadians; to become the country’s largest resource of information, guidance, and assistance for the Disability Tax Credit program. We want to help all eligible Canadians in need recover their disability benefits that may have gone unclaimed over the past 10 years. Best of all, if we don’t succeed in recovering a Disability Tax Credit refund or credit, our clients don’t pay a cent. Guaranteed. We’ve helped over 40,000 Canadians qualify for Canadian Disability Benefits. With a dedicated team of in-house specialists, the National Benefit Authority is the largest provider of services related to the Disability Tax Credit in Canada. The NBA has offered Disability Tax Credit assistance to 40,000 Canadians, helping them complete their Form T2201 to receive up to $50,000 – the maximum Disability Tax Credit amount available. Why are we Canada’s leading Disability Tax Credit experts? We offer unmatched insight into Disability Tax Credit eligibility and process! Over 40,000 successful Disability Tax Credit claims. 66% of previously rejected Disability Tax Credit applications now successful. 33% of previously approved Disability Tax Credit applications received more money. 100% Confidentiality Policy: We respect our client’s privacy and discretion. Passionate about Helping Canadians with their Disability Tax Credit Application. We value every opportunity to give back to our community and support Canadians with disabilities in more ways than assisting with the Disability Tax Credit and Canadian disability benefits. The NBA proudly sponsors True Patriot Love and Volleyball Canada’s Para-Volleyball team. We are dedicated to building a cooperative network for our employees and clients, driven by our passion to help Canadians with disabilities. We are committed to raising awareness about the resources available to Canadians with disabilities. To learn more about the Disability Tax Credit application process and Disability Tax Credit assistance, visit our DTC page. If you or a loved one are curious about Disability Tax Credit eligibility, contact us today. 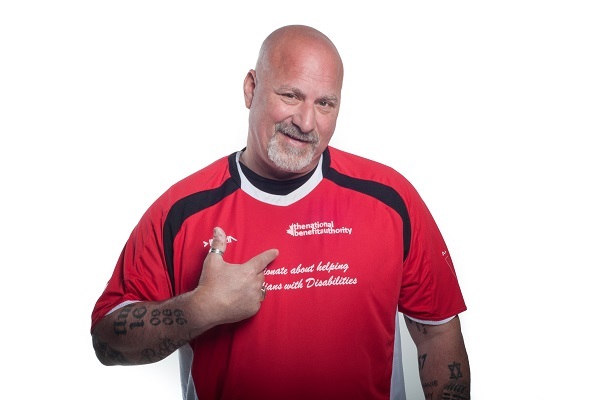 A three-time Paralympian and gold medalist, Paul Rosen became the National Benefit Authority’s ambassador in 2015. As a former client, his story was featured in the Toronto Sun. Apply online to see if your disability qualifies for the Disability Tax Credit.